Ulrich Pakker Studios is leaving Seattle! We will continue to be involved in making public art and taking commissions for sculptures and fountains. Exactly where we will be making art has not yet been determined but there are many options. 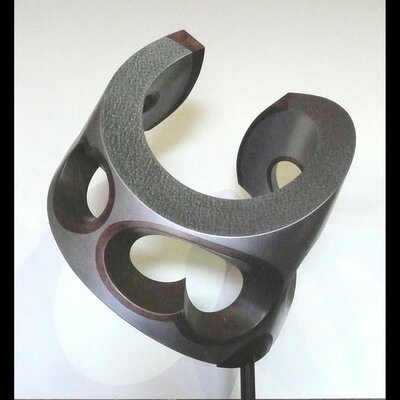 For major commissions, we will travel to art sites and fabricate there, internationally and nationally. Future possibilities for a new studio site include Mexico, Romania, and northern Washington State. Send us a suggestion! I was asked in Spring 2018 to collaborate with textile artist Cameron Ann Mason and her Dusty Nation team, providing the metal sculptural centerpiece to an art installation conceived of by this creative, energetic team. I had no idea exactly what I was getting into but had heard of the Burning Man festival for many years. In the end, I was very grateful to have been included in this successful and inspiring art event. This event is for supporters, collectors, friends and family. Please let us know if you might be in Venice for this celebration of sculpture. ​We would love to put you on our VIP list for the March 26th event. Ulrich and Pamela traveled to Venice in January to confirm location and arrangements of the room that will hold Ulrich's exhibit. His work will be in Room 13 of Palazzo Mora in the heart of Venice, steps away from the Grand Canal, on Strada Nova. The centuries-old buildings houses the GAA Foundation exhibits in conjunction with the European Cultural Centre. Ulrich Pakker sculptures have been purchased by several collectors all around the world in preparation for his participation in the Venice Architecture Biennale, a world-class ​International Architecture and Design event. 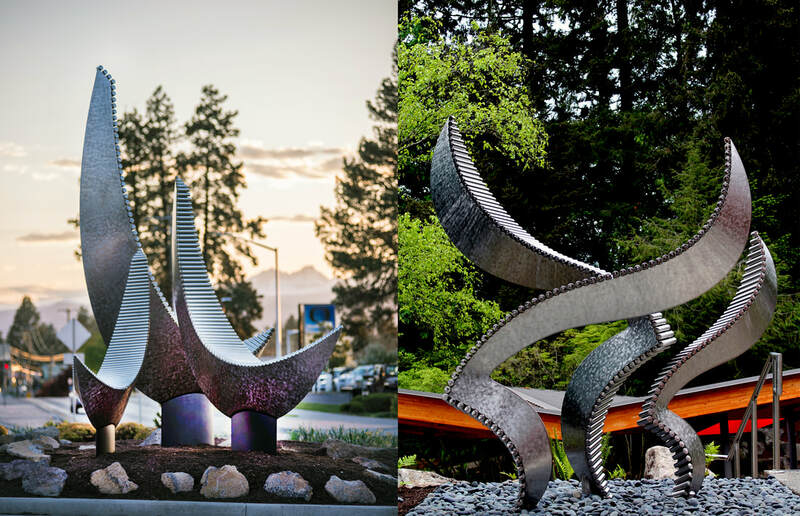 ​My artistic process creating metal sculptures, fountains and public art begins by visualizing the proposed artwork in as many ways as possible. With public art spaces, different hours and days produce different lighting and changing populations. Will collectors have a bird’s-eye view of the art or will it be a garden focal point? How will climate affect a fountain's materials? What is the expected longevity of the installation? Everything influences me and my process. I work primarily in metal. The durability of stainless steel, bronze, aluminum and copper match the sources of my designs: geometries of ships’ hulls and seashells, whirlwinds and electrons’ orbits, rocket trajectories and kelp swaying in ocean currents. These have all inspired and catalyzed my artwork. I can see where art could be placed everywhere: embedded in a plaza, ensconced on a coffee table, nested into a garden niche, or raised up on a traffic roundabout, visually connecting all corners of the surroundings. Natural shapes, movement and lighting drive many of my designs, like Breaking Earth’s Bond, installed at the Gateway to the Redstone Arsenal in Huntsville, Alabama. Scientists designed, fabricated and tested the rockets for the Saturn and Apollo missions right here. In 2013, I was awarded the 2013 UNESCO (United Nations Educational, Scientific and Cultural Organization) Commissioner Art Award “Inspiring Peace and Humanity through Art and Science” by Dr. Sheree Wen for this sculpture . The installation components involve physics and chemistry, like the research going on at the site. Trajectory, 25-feet tall and stainless steel, makes permanent the ephemeral trail of the rocket as it heads upward and eastward from the launch pad. Scattered about the base of Trajectory are Hydrazine, five stylized molecules of Hydrazine, the very first rocket fuel. All of my public artworks derive from the same reflections of place that Breaking Earth’s Bond did. My design process seesaws between the requisites of the client/site and the active processes in my studio. This back-and-forth reflects my dependency on both the installation’s viewers and the requirements of physical fabrication. I owe my success as a public artist to the energetic dynamism of this balancing act.